The function of the thyroid gland is regulated by a feedback mechanism involving the brain. When thyroid hormone levels are low, the hypothalamus in the brain produces a hormone known as thyrotropin releasing hormone that causes the pituitary gland to release thyroid stimulating hormone. TSH stimulates the thyroid gland to release more T4. 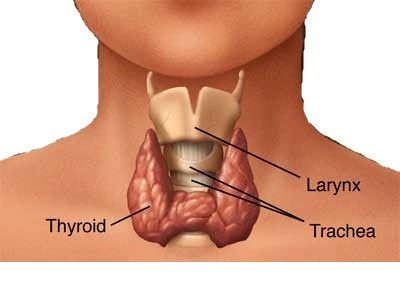 Homeopathy treatment helps for Thyroid Disorder. And helps to prevent further recurrence also.